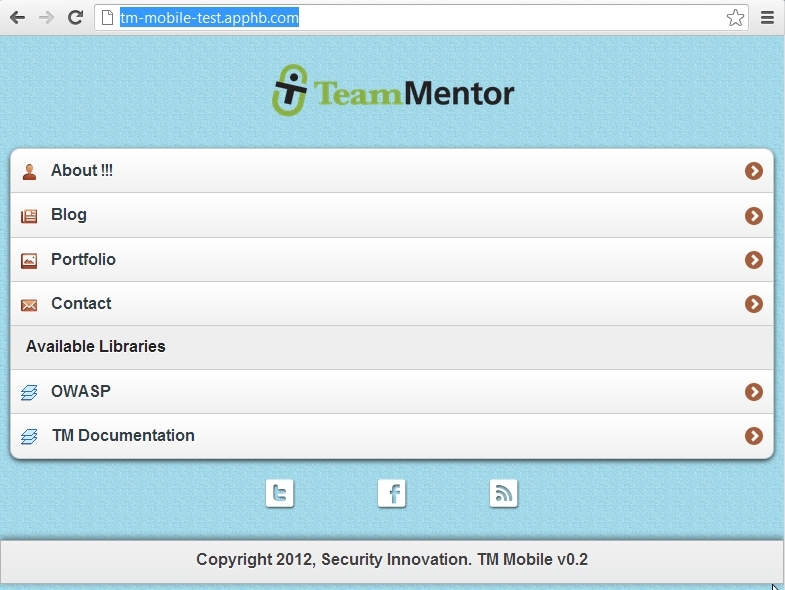 After Buying a mobile site-template from ThemeForest , I'm spending some time using/refactoring the Woody theme for a Tablet/Mobile version of TeamMentor (and learning how jQueryMobile works). I just reached a key milestone, where I created a PoC that shows the most important technical challenge that I had: The dynamic creation of GUI elements from TM WebServices calls. You can try it in action at http://tm-mobile-test.apphb.com (automatic AppHarbor deployment via GitHub), but at the moment the Libraries links open the 'About' page and the other Items (Blog, Portfolio and Contact) still show the original Woody template content. I like the way this is laid out. It will be interesting to see how you would filter search results, in terms of navigating from either guidance views on the left, or the search options across the top of the web version.